3304 Pipeline Rd, Vestavia Hills, AL.| MLS# 832144 | Richard Jacks UABLIVING.com 205-910-2297 | Birmingham AL Real Estate | Contact us to request more information about our Homes for Sale in the Birmingham AL area. Gorgeous full remodel on the Cahaba Heights home nestled on PIPE LINE RD! 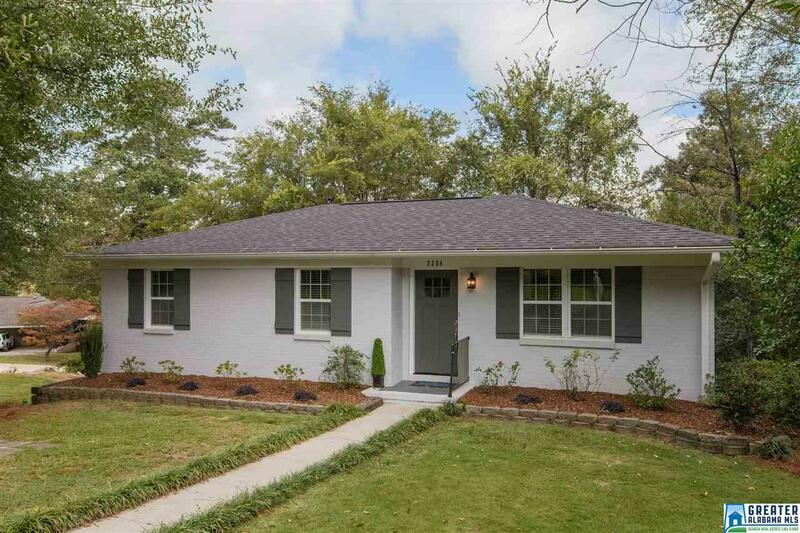 This 3BD, 1 BA home has all the trends accentuated by today&apos;s color palettes. Stainless steel kitchen suite, granite counters along with Chef&apos;s styled Gas stove! You have the stunning Ebony stained hardwoods throughout! You&apos;ll adore the rich textures and natural lighting throughout! The entire home has been given a lovely touch that appreciates it&apos;s history while escorting it into 2018! Local to every up and coming location you&apos;d like for bars, restaurants, shopping and schools you&apos;ll be hard pressed to find such a product for the price! The home sits on a fully unfinished basement ideal for storage, multiple cars parked in tandem or finish it out to your liking for additional equity to be gained if you choose! New paint inside and out with a roof that was replaced prior to this seller overhauling the remainder of the home! THIS HOME HAS YOUR NAME ON IT! You must see, gotta be quick as homes like this go FAST! Driving Directions: From Hwy 280 Take Summit Blvd. Turn Right On Cahaba Heights Road Turn Right On Brasher Drive Turn Left On Pipe Line Road, Home On Left.